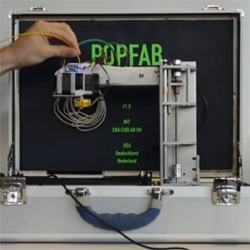 VIDEOPopFab, a multi-tool for the 21st century consisting of is a computer-controlled motion platform and means of attaching various toolheads. 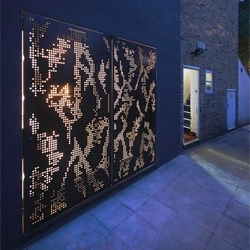 By Ilan Moyer of MIT's Little Devices Lab and Nadya Peek of the school's Center for Bits and Atoms. 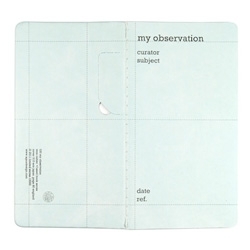 AGUA design's seed book notebooks remind us that we're all the curators of our observations and lives. 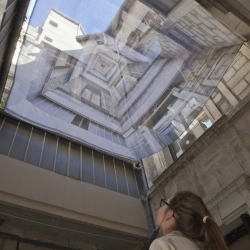 The Canadian graphic designer and video artist Suzanne Thoma and French architect Dominique Jobelot have imagined the installation 'The overthrow of the sky' for the 2012 Festival of Lively Architecture in Montpellier. 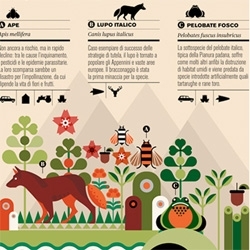 Fun illustrations from Laura Cattaneo (Halfpastwelve). 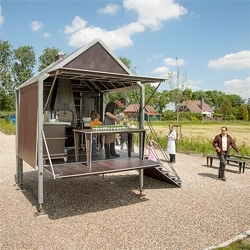 The Buijtenkitchen from Studio Elmo Vermijs, a mobile kitchen traveling in the outskirts of Rhoon is based on the old bakeryhouses where the wood stove is the base of the kitchen. 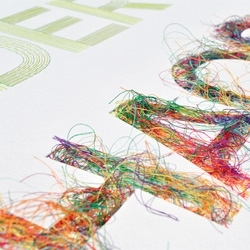 Great new stitched illustration from artist Peter Crawley, Order Chaos. Teatum + Teatum's Hidden House is tucked away between existing buildings. 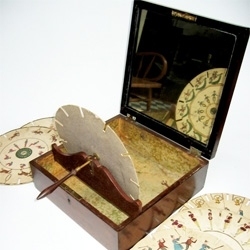 Fascinating article on Victorian optical toys and the people who made them drawing from The Richard Balzer Collection. 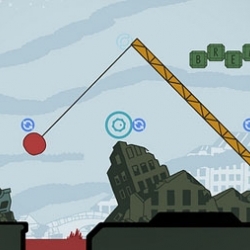 Sushi Bazooka! 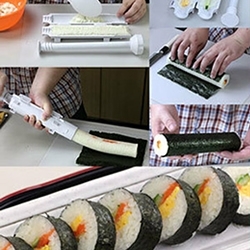 Sushi made easy...you can now make restaurant-quality sushi at home! 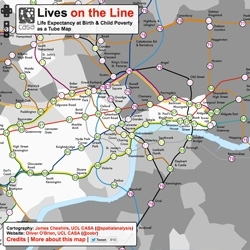 Lives on the Line, an interesting overlap of life expectancy at birth and child poverty as a tube map from James Cheshire and Oliver O'Brien of UCL, CASA. VIDEOALO Exposed + Sara Blake—A New Drinking Experiment. 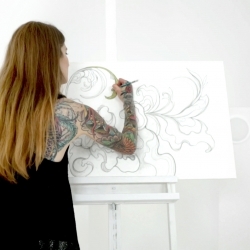 New York artist/ZSO, Sara Blake only had two hours to create improvisational art from what she felt. 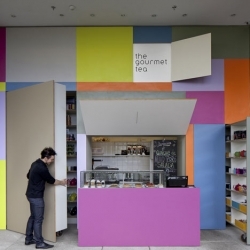 Forget pop-up, this fully outfitted tea shop in São Paulo pops out. 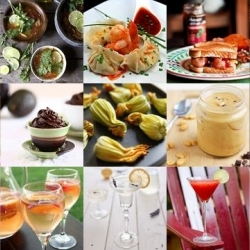 FEATUREDPina Colada yoghurt popsicles, homemade peanut butter with chocolate chips and almond nougatine spoons are all part of this week’s roundup from Tasteologie and Liqurious. 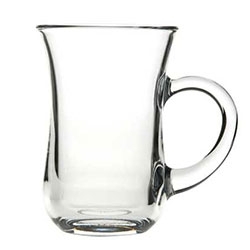 Keyif Çay Bardağı (Joy Tea Cup) from Paşabahçe Mağazaları ~ a nice hybrid between a turkish traditional teacup and an espresso cup. 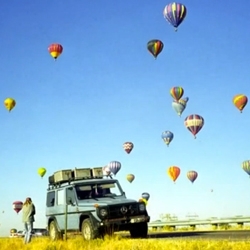 VIDEOGunther Holtorf and his wife have been on a 23 year road trip in a Mercedes-Benz G-Wagon. 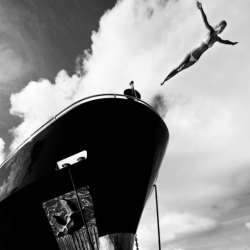 They have traveled over 500k miles around the world and photographer David Lemke joins them for a section of their journey. 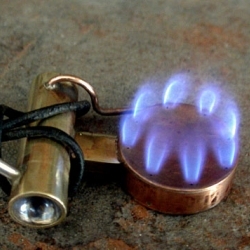 A working stove necklace - hand-crafted brass and copper alcohol burner with a fuel line and tank by Stuart Breidenstein of Go Robot! 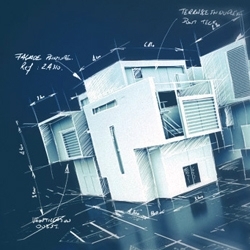 Frank Gehry's R&D firm Gehry Technologies debuts a cloud-based design software called GTeam. 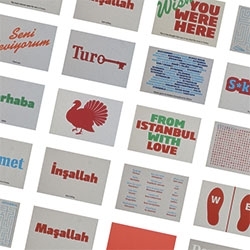 Brand new website for These Are Things full of fun illustrations and jQuery parallax goodness. 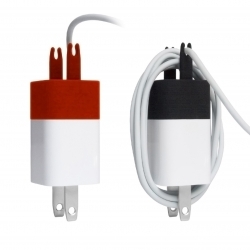 The Wrap mirrors the prongs on the iPhone charger - making it easy to store the charging cable. 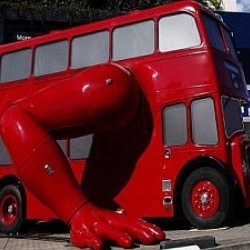 VIDEOMaisie Broadhead is known for her fine art photographic parodies. She and Broadhead directed a video to be hung next to the 1844 photographic print by Hill and Adamson that it references. 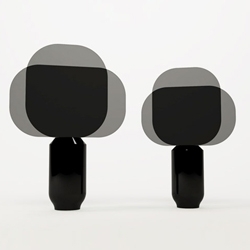 The future is in our hands and designer Matteo Zorzenoni knows it well. Because his work experiments not only with materials and their limits, but also with new and fruitful collaborations with Italian artisans. 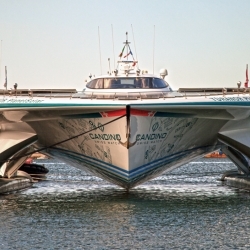 Tûranor Planet Solar - The largest solar-powered catamaran in the world. 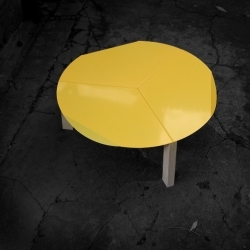 The Minimalist is setting up a pop-up in Sydney. 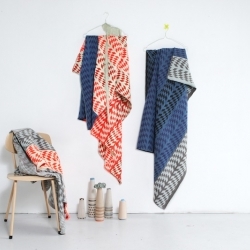 Its collection includes the suitably named 'Woww" range from Mae Engelgeer. 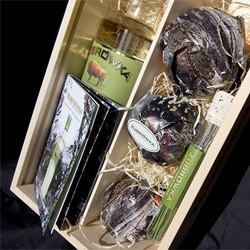 FEATUREDFun gift set from Zubrowka vodka featuring beautiful illustrations, apples and bison grass! 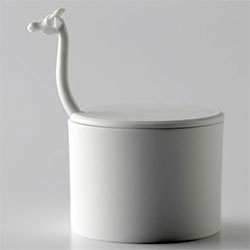 Cute Giraffe sugar bowl and spoon set. 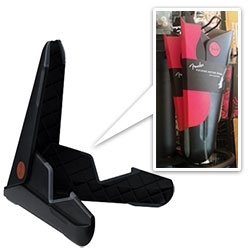 Fender folding Gig Stand for guitars ~ Nice design and packaging! 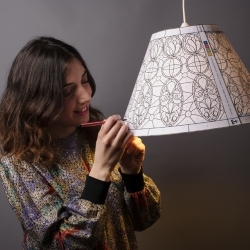 The new Paper Tiffany Lamp, T1985 from PECAS (Bernardita Marambio B.). 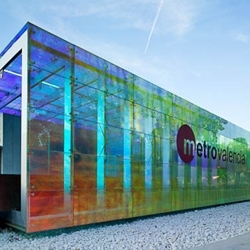 The lovely, recently completed, Carolines-Benimamet Metro Station in Valencia, Spain by Luis Ferrer is made up of a series of colored glass boxes and beautifully designed right down to its platform benches and light fixtures. 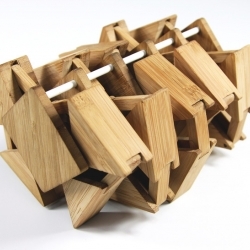 8-legged bamboo kinetic sculpture manufactured in Portland, OR. 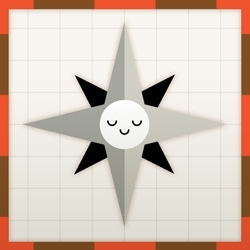 Sound Shapes, a new music-based video game entitled Sound Shapes. 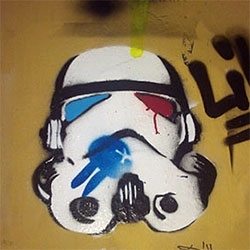 With Beck and Deadmau5. 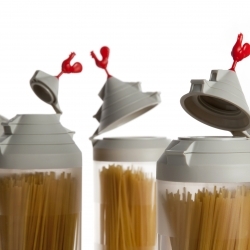 Spaghetti Tower - The clever dispenser from Ototo. 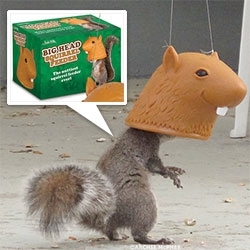 Tired of having leftover spaghetti? Spaghetti tower not only stores your pasta, it also measures the ideal quantity for your meal. 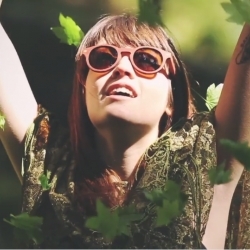 VIDEOExperimenting with a Stereoscopy, a 3D technique from the early 1800’s, Shwood Eyewear explores some of Oregon’s blissful hideaways in mesmerizing fashion for its new lookbook! 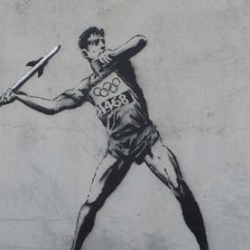 Banksy strikes before the opening of the 2012 Olympics in London. 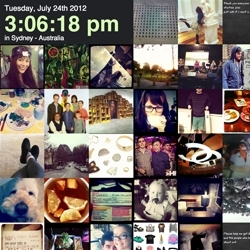 Sydney-now is a highly addictive real-time visualization tool displaying all the photos as it happens within Sydney-Australia on Instagram. 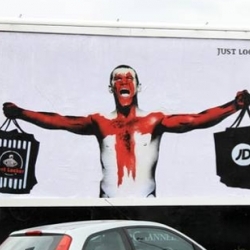 Banksy sidekick and a team of artists challenge society by creating art from 'brandalism' - spoof outdoor adverts around the UK. 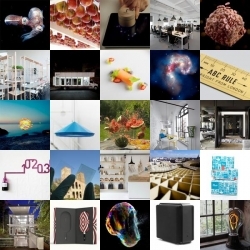 FEATUREDA watermelon exploded by rubberbands, transparent solar cells and an art library on wheels are all part of this week’s roundup from NOTCOT.org. 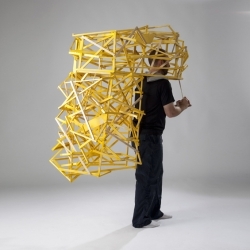 The artist Tracy Featherstone imagines portable sculptures made ​​of pieces of wood. 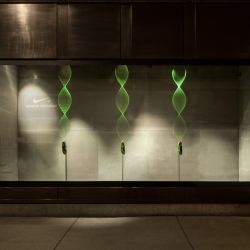 Between architecture, furniture and clothing, these structures are strung and worn, the material facing the flesh, following the curves and binding on both. 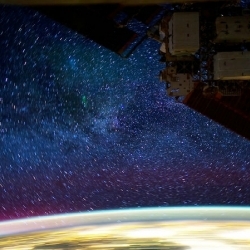 VIDEOStunning time lapse photography taken from the International Space Station at night. 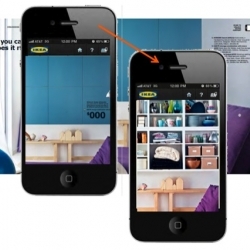 The Ikea catalogue is getting an interactive overhaul, with added augmented reality. Live Fast Magazine's Vivianne Lapointe debuts her curatorial skills with an exciting group show, put on in collaboration with Venice's LUX / EROS gallery. 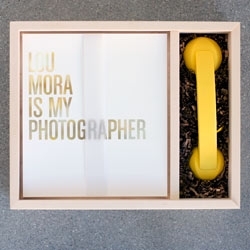 Los Angeles based advertising photographer Lou Mora created a promo piece that incorporates a custom made wooden box, fine art prints, and a Native Union phone.